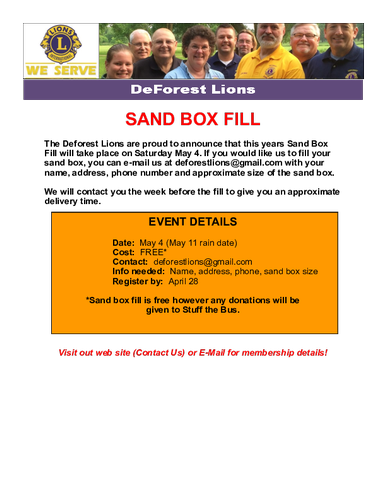 The DeForest Lions are proud to announce that this years Sand Box Fill will take place on Saturday, May 4th (rain date May 11). They will contact you with approximate delivery time. Any donations will be given to Stuff the Bus!